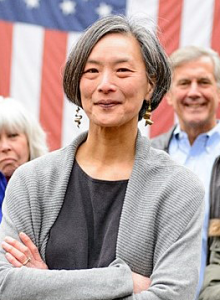 Four state primaries were held yesterday in Idaho, Nebraska, Oregon & Pennsylvania, advancing the wave of female office-seekers, and progress for progressives over institutional candidates. To follow: the major results! 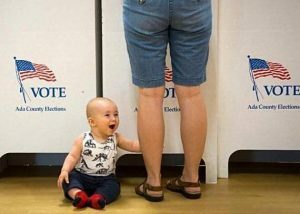 In red Idaho yesterday the Democratic turnout was so high that some counties ran out of ballots. In the contest to replace retiring incumbent Governor Butch Otter (R), Democratic primary winner Paulette Jordan made history by becoming her party's first female nominee for the office. The 38-year-old, two-term Idaho state legislator and a member of the Coeur d'Alene Tribe, will face stiff general election opposition from Lt. Governor Brad Little, who emerged from a tight primary contest to win the GOP nod. If Jordan wins the open seat, she would also become the state's first female Governor, as well as its first Native American. Jordan's running mate on "Idaho's first all-female joint ticket,"
Kristin Collum will face former State Representaive Janice McGeachin in the Lt. Governor's race. In Idaho's open First Congressional District,Democrat Christine McNeil will face Republican Russ Fulcher, who was victorious over six other candidates. In the gubernatorial race, State Senator Bob Krist, a former Republican and independent who joined the Democratic Party in February, won the nomination to take on Republican Governor Pete Ricketts, who is seeking a second four-year term. In the US Senate seat, Incumbent Senator Deb Fischer (R) who was unopposed in the primary, will be defending her seat against a challenge from Democrat nominee Jane Raybould. 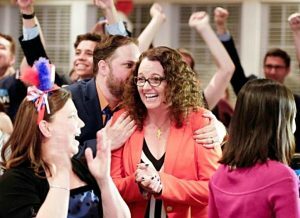 In Nebraska's closely-watched Second Congressional District, progressive Kara Eastman triumphed over former Congressman Brad Ashford for the right to challenge incumbent Republican Don Bacon, in what is already rated as a "toss up" general election battle. GOP State Representative Knute Buehler beat a crowded field of eleven Republicans for the chance to vie against popular incumbent Governor Kay Brown in November. 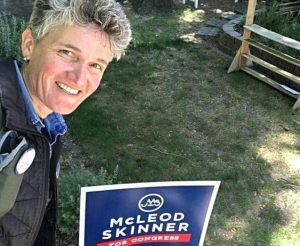 In beautifully blue Oregon all four Democratic Members of Congress face nominal or no opposition, and in Oregon 2, incumbent Republican Greg Walden will be challenged by self-proclaimed "Rural Democrat," Jamie McLeod-Skinner. Tuesday's primaries were the first elections under Pennsylvania's new Congressional District map - redrawn in February by the state Supreme Court after ruling the existing map, used since 2011, was unconstitutionally gerrymandered. Consequently, congressional district boundaries and some numbers were changed, shifting the political dynamics of each district and, in the case of the new 17th CD, pitting two incumbents -- Conor Lamb (who won the 18 CD Special Election in March) and Keith Rothfus (previously in the 12th CD) -- against each other. Other competitive House seats include the open 5th CD, vacated by Republican Pat Meehan (formerly the 7th), where Mary Gay Scanlon won a 14-way primary to advance to the general election against former prosecutor Pearl Kim (R). In the open 7th CD to succeed former Congressman Charlie Dent (R, old 15th CD), Susan Wild (D) will battle GOP nominee Marty Nothstein, and in the 1st CD, Scott Wallace (D) will attempt to unseat incumbent Republican Brian Fitzpatrick. In the Governor's race, incumbent Democrat Tom Wolf, who is running for a second term, will face State Senator Scott Wagner, who counts Steve Bannon among his endorsements. In the Keystone state's US Senate contest, incumbent Democrat Bob Casey will be challenged by Congressman Lou Barletta -- an uphill battle for the Republican. An April Morning Call poll showed Casey up by 16 points in a match up with Barletta.